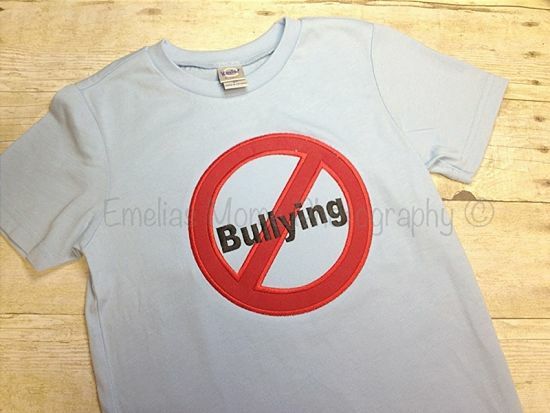 Make sure everyone knows your little man won't stand for bullying. The color of this shirt can be changed, just contact us first. Items ship within 7-10 days via USPS after payment is received. A $10 rush fee gets it to you faster, just contact us first. Thanks for shopping Emelias Moms Boutique!